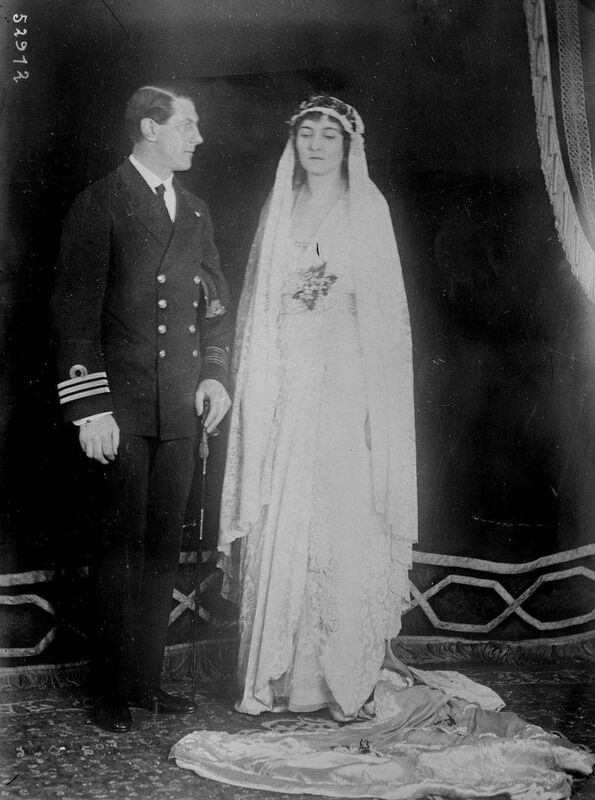 Princess Patricia married The Honourable Alexander Ramsay on 27 February 1919. One of the first major royal events after WWI, the wedding was the focus of much public attention, and the beginning of a modern trend for royal marriages at Westminster Abbey. The wedding dress belonging to Princess Patricia (1919) is part of the collection of the Princes Patricia’s Canadian Light Infantry Museum at The Military Museum in Calgary. 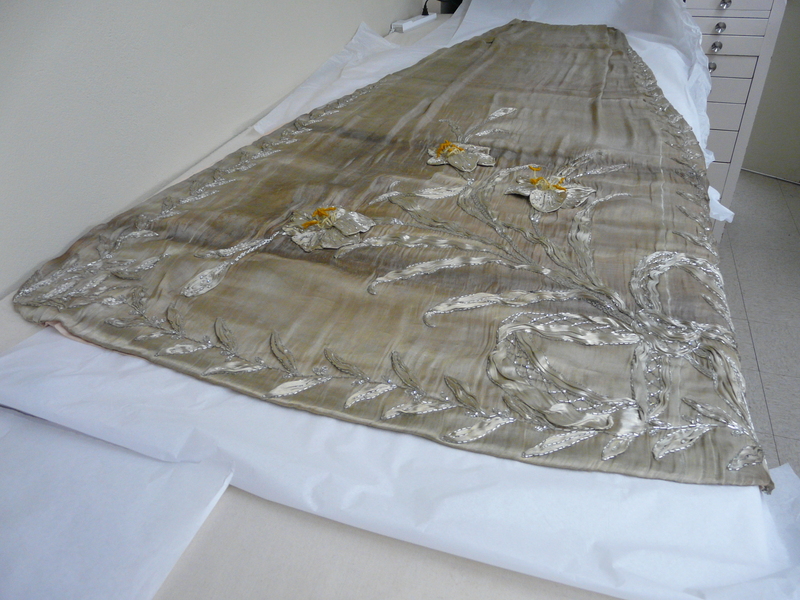 Conservators at the LV.Greyes Partnership in association with EHC school of sewing and design have just completed a major project to conserve Princess Patricia’s historic 1919, royal wedding dress. The work was undertaken by staff and students at EHC under the supervision of LV.Greyes specialist textile conservator and took over 100 hours to complete. 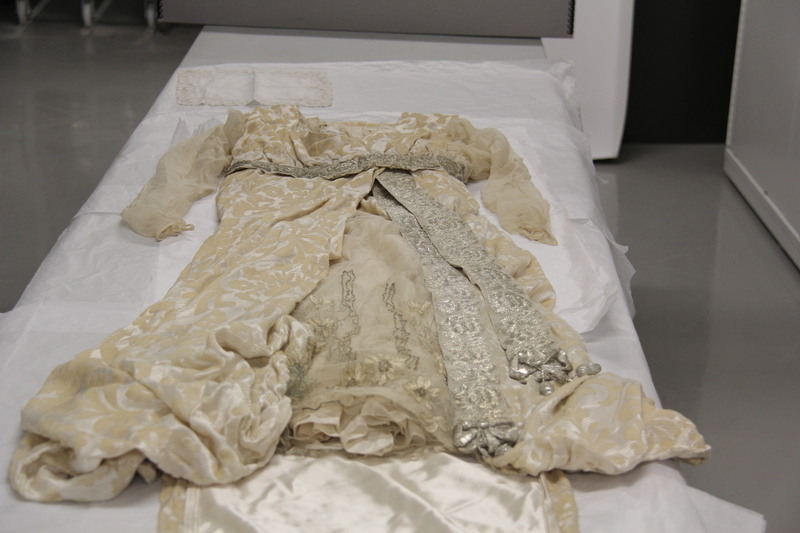 The ninety five year old silver embroidered gown, train and lace veil is usually kept in controlled storage conditions, recent funding by Canadian Forces has provided a timely opportunity for Princes Patricia’s Canadian Light Infantry Museum to treat and conserve this important dress. Princess Patricia’s wedding dress (1919). 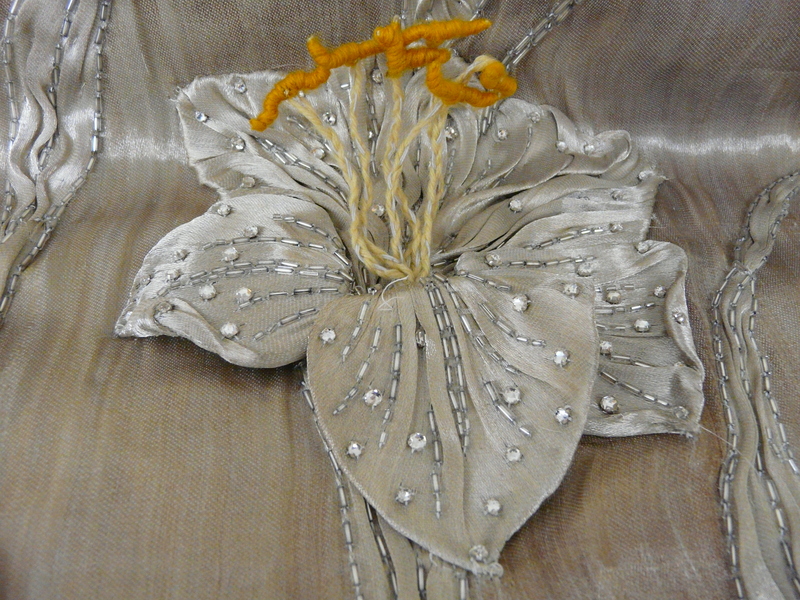 Silk silver embroidered wedding dress worn by Princess Patricia in 1919, when she married Capt. The Hon. Alex. Ramsay, is assessed for conservation. 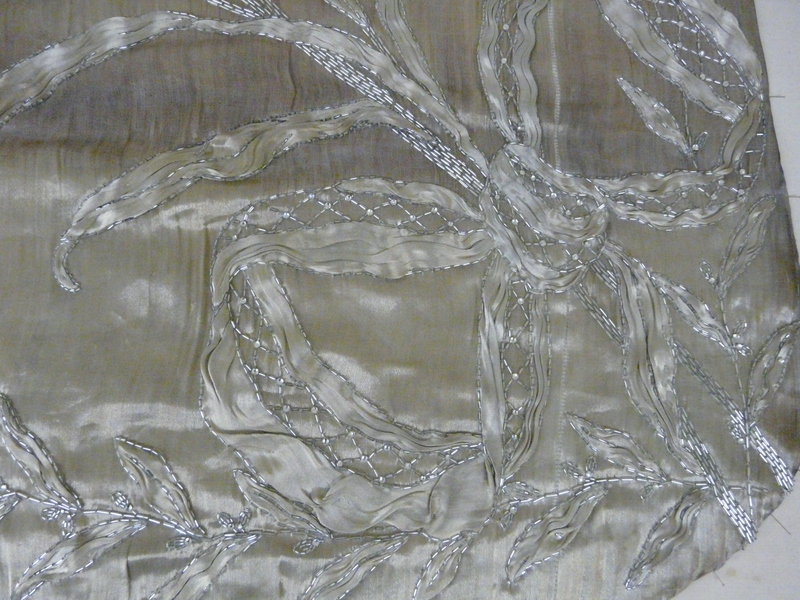 The conservation process began with a general condition assessment of each part of the wedding dress ensemble, which involved microscopic surface examination of its cloth-of-silver train and silver wire embroidery. An audit of how previous conservation treatments had fared and whether they were due for removal or replacement was also carried out. Princess Patricia’s wedding dress train (1919). Cloth-of-silver wedding dress train, embroidered with a lily design and embellished with silver embroidery, worn by Princess Patricia in 1919, when she married Capt. The Hon. Alex. Ramsay, is prepared for conservation. Treatment stages varied according to the condition of the materials. Time had chemically degraded the fabric leaving a stain or hole. 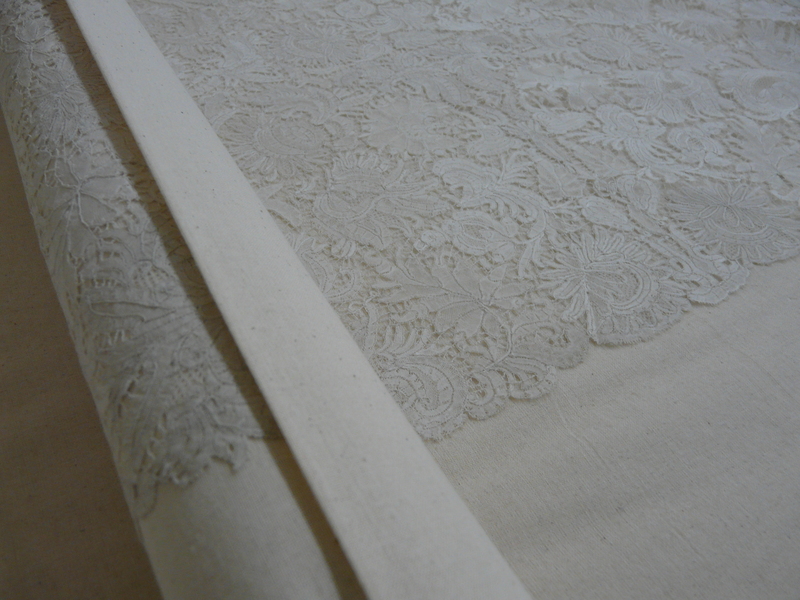 Whereas it was possible to wet-clean the lace, the dress and train only allowed a dry-cleaning technique. Because the original materials had deteriorated, leaving damaged areas at points of weakness in the structure of the dress, for example around the sleeves and embroidered tulle lace, there were several weak points that needed strengthening. 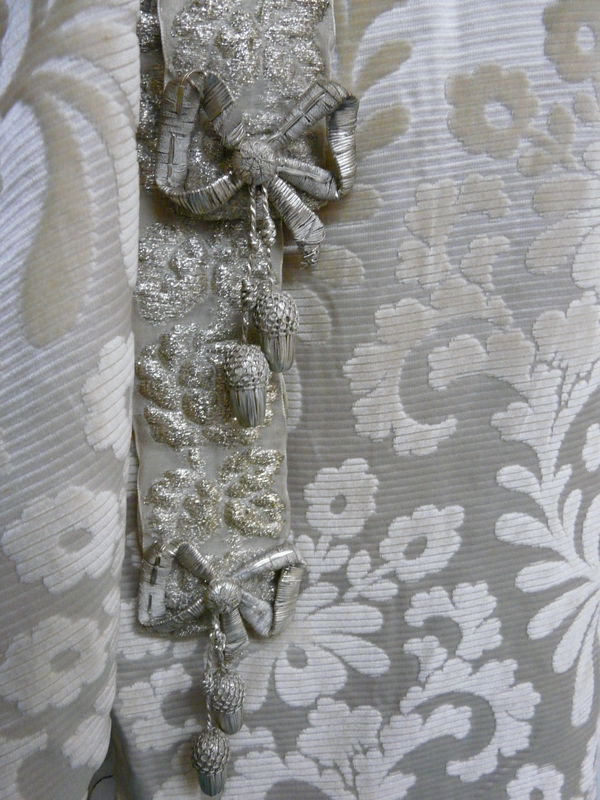 A layer of Crepeline silk was secured in place with an array of supportive stitching in ultra-fine mono-filament silk threads, almost invisible to the naked eye, which helped take the weight of the very heavy silver embroidery out of the weakening original silk and net fabrics. All materials used in the conservation treatment were prepared by the conservator to ensure they were of the correct type and quality. 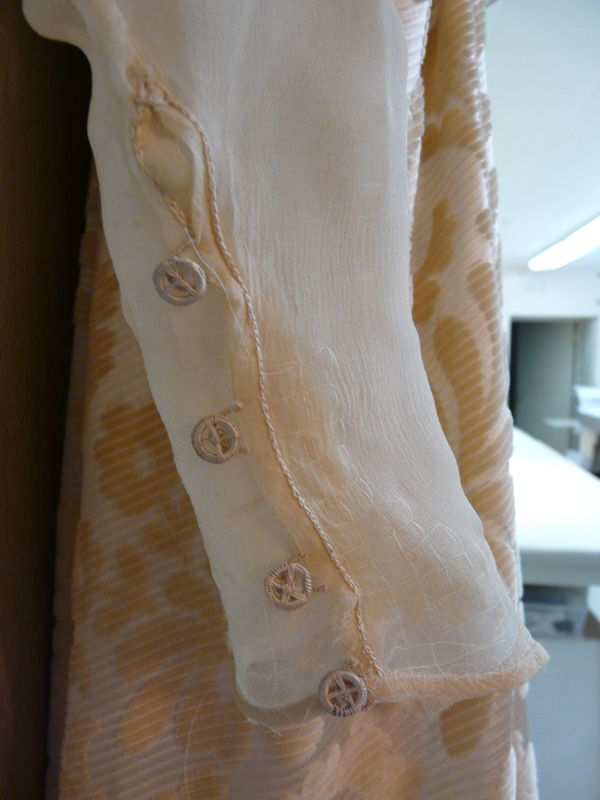 The fabrics and threads used for repair the dresses were matched to the original materials. 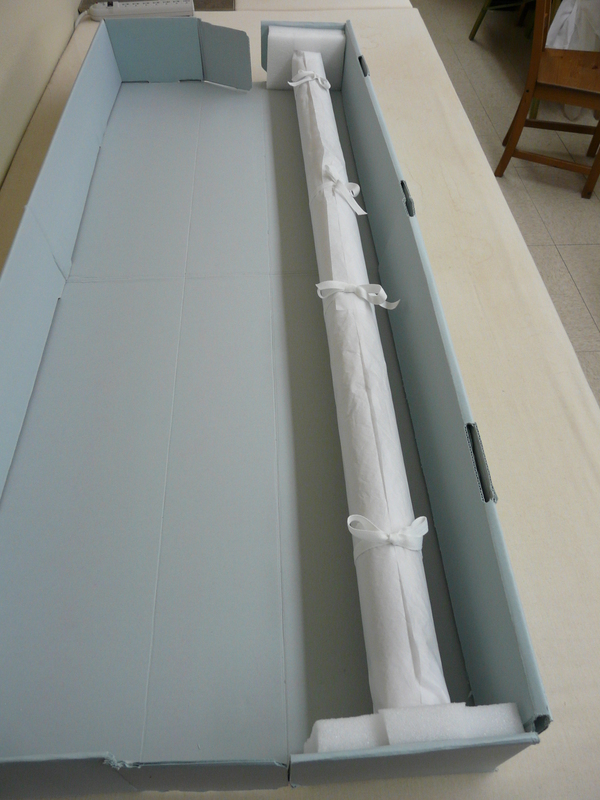 Finally, the wedding ensemble was placed in specially made storage boxes with many layers of protective and supportive packaging materials mimicking the shape of the silk embroidered wedding dress, cloth-of-gold train and silk lace veil. 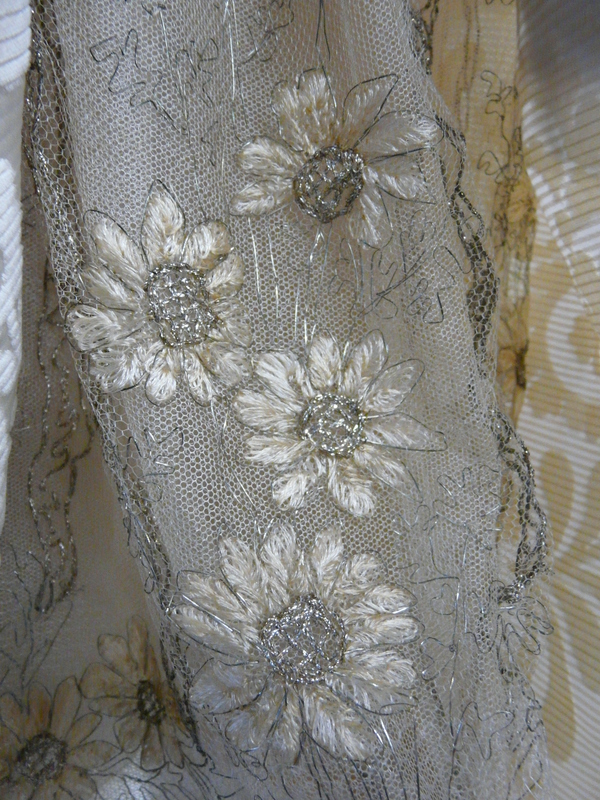 Our textile conservator worked closely with the EHC team to ensure that the silk elaborately embroidered wedding dress, train and lace veil worn by Princess Patricia when she married Captain, The Honourable, Alexander Ramsay, is protected for both storage and display environments, preserving it for generations to come. Princess Patricia was a granddaughter of Queen Victoria. Her father was Prince Arthur, Duke of Connaught and Strathearn, the third son of Queen Victoria and Prince Albert of Saxe-Coburg and Gotha. Her mother was Princess Louise Margaret of Prussia. In 1911, Prince Arthur became Governor General of Canada, with his wife and youngest daughter Princess Patricia, whom became an extremely popular figure with Canadians, lending her name to the Princess Patricia’s Canadian Light Infantry regiment. It is hardly surprising that her engagement and wedding attracted extensive interest. The wedding was filmed by British Pathe and Gaumont Graphic, guests included King George V and Queen Mary, the Prince of Wales ,and many other members of the Royal Family. The newsreel was watched by millions of people throughout the Britain, the Empire, and around the world. The wedding dress and train was designed by Revill and Rossiter, a well-known London couture house specializing in formal gowns and tailored clothes for aristocracy and royalty (including Queen Maud of Norway). In 1910 the company, by royal appointment, became Court Dressmaker to Queen Mary. Details of the sketches for the wedding dress and train were released by Vogue before the ceremony. The day after the wedding, photographs of the royal bride made front page news around the world. A week later, The London Illustrated News published a special number entitled ‘The Wedding of Princess Patricia’ illustrating the wedding dress, train and veil. Half way through curating an exhibition.